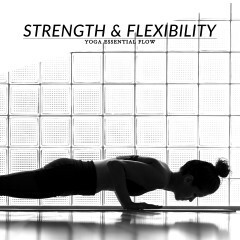 Take a yoga break at work and boost your productivity! 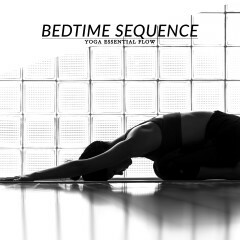 This 8-minute yoga flow stimulates the brain and central nervous system to enhance memory and concentration and improve your mental focus. 3. Child’s pose: 30 seconds. Sit on your heels, lay your torso down and stretch your arms in front of you. 4. Mountain pose: 30 seconds. Stand with your feet together, distribute your weight equally between both feet and breathe deeply. Keep your spine long, your body soft and bring your palms together in front of the heart. 5. Eagle pose: 30 seconds. Stretch your arms forward, cross your left arm on top of the right, bend your elbows, raise and cross your forearms, so that the palms of your hands are facing each other. Bend your knees and put your weight on the left foot. Pull your right knee toward the chest and then cross your right thigh over the left and hook the right foot behind the left calf. 6. Tree pose: 30 seconds. Return to mountain pose, transfer your weight to the left foot, bend your right knee and place the sole of your right foot against the inner left thigh. Inhale as you raise your arms above your head and press your hands together. 7. Chair pose: 30 seconds. Inhale, bring your arms up with the palms facing each other and, as you exhale, bend your knees and sit back. 8. Eagle pose: 30 seconds. Stretch your arms forward, cross your right arm on top of the left, bend your elbows, raise and cross your forearms, so that the palms of your hands are facing each other. Bend your knees and put your weight on the right foot. Pull your left knee toward the chest and then cross your left thigh over the right and hook the left foot behind the right calf. 9. Tree pose: 30 seconds. Return to mountain pose, transfer your weight to the right foot, bend your left knee and place the sole of your left foot against the inner right thigh. Inhale as you raise your arms above your head and press your hands together. 10. Upward salute pose: 30 seconds. Inhale, turn your palms out and bring your arms up and overhead. Expand the chest, look up and maintain your neck and head relaxed. Bring your palms together, lengthen the spine and stretch your shoulders and belly. 11. Warrior II pose: 30 seconds. Step to the side with your left foot and rotate it out, to a 90-degree angle. Bend your left knee, rotate your head to the left, bring the arms up to shoulder height, and keep them parallel to the floor. 12. Warrior III pose: 30 seconds. Return to mountain pose, transfer your weight to the left leg and, as you inhale, lift your arms over your head. Exhale, raise your right leg back and bend at the hips until your upper body is parallel to the floor and in line with your right leg. 13. Chair pose: 30 seconds. Bring your feet together and breathe in as you lift your torso and bring your arms up. Exhale as you bend your knees and sit back. 14. Warrior II pose: 30 seconds. Step to the side with your right foot and rotate it out, to a 90-degree angle. Bend your right knee, rotate your head to the right, bring the arms up to shoulder height, and keep them parallel to the floor. 15. Warrior III pose: 30 seconds. Return to mountain pose, transfer your weight to the right leg and, as you inhale, lift your arms over your head. Exhale, raise your left leg back and bend at the hips until your upper body is parallel to the floor and in line with your left leg. 16. Mountain pose: 30 seconds. Stand up tall and distribute your weight equally between both feet. Keep your spine long, your body soft and bring your palms together in front of the heart. Take a yoga break at work to boost your concentration, mental focus & memory!